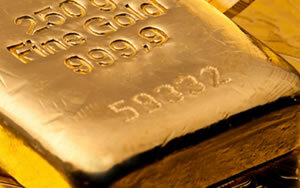 Precious metals futures ended mixed Friday but they all advanced on the week. Gold and silver drove their session gains to four straight. Both also marked fresh multi-month highs. Gold for February delivery moved up $1.90, or 0.2%, to finish at $1,283 an ounce on the Comex division of the New York Mercantile Exchange. The settlement was the highest since June 14 when gold ended at $1,308.30 an ounce. "A weaker U.S. dollar is fueling higher gold prices and the volatility in the stock markets is worrying people about the prospects in 2019, which is also moving people to gold," Reuters quoted Walter Pehowich, executive vice president of investment services at Dillon Gage Metals. "But prices are not able to extend gains as there is less liquidity in the markets and not many people want to put positions ahead of the long weekend." Gold futures rallied 2% this week after advancing 1.4% last week. They declined 0.9% in the week before then. The yellow metal is 2% lower on the year. Elsewhere, silver for March delivery added 12.6 cents, or 0.8%, to settle at $15.436 an ounce. The settlement was the highest since silver ended at $15.462 an ounce on Aug. 9. Silver futures rallied 5% this week after rising 0.4% last week. They slipped 0.4% in the week before then. Silver is 10% lower on the year to date. April platinum declined $5, or 0.6%, to $796.40 an ounce, but edged up 0.08% on the week. Palladium for March delivery fell $11.10, or 0.9%, to $1,183.40 an ounce, but advanced 2.1% on the week. The two remain split on the year with platinum 15.1% lower and palladium 11.5% higher. Gold rose $11, or 0.9%, to $1,279 an ounce. Silver gained 24 cents, or 1.6%, to $15.295 an ounce. Platinum declined $5, or 0.6%, to $788 an ounce. Palladium added $14, or 1.1%, to $1,270 an ounce. In LBMA weekly results, platinum fell 0.3% while the others logged gains of 1.7% for gold, 4.1% for silver, and 2.3% for palladium. Gold bullion coins rose by 1,000 ounces in American Gold Eagles. Gold sales were flat last week. Silver bullion coins moved up by 40,000 ounces after advancing by 100,000 ounces last week. For a fourth week in a row, sales came entirely from American Silver Eagles.